Not all IRA activity appears on your tax return. The federal government created individual retirement accounts to incentivize saving money for your own retirement by offering tax breaks. Traditional IRAs offer tax-deferred savings, which is generally more beneficial if you expect to pay a lower tax rate when you retire than you currently pay. Roth IRAs, on the other hand, offer after-tax saving, which is generally better when you expect your tax rate to be higher in retirement. Traditional IRA contributions should appear on your taxes in one form or another. 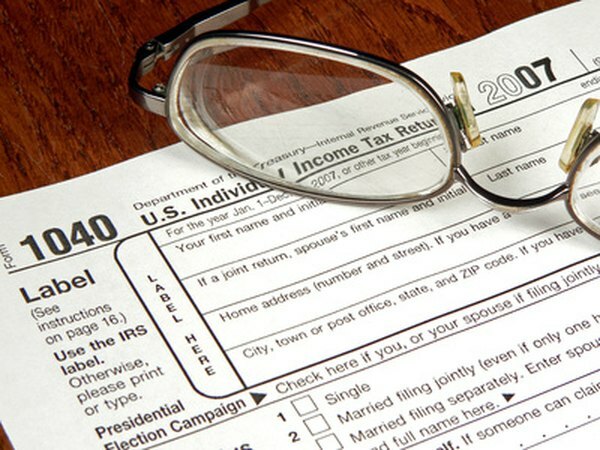 If you're eligible to deduct them, report the amount as a traditional IRA deduction on Form 1040 or Form 1040A. If you're not claiming a deduction, either by choice or because you're covered by an employer plan and your adjusted gross income is too high, report the nondeductible traditional IRA contributions with Form 8606. Roth IRA contributions, on the other hand, do not appear on your tax return. You don't report any of the gains on your IRA investments on your income taxes as long as the money remains in the account because IRAs are tax-sheltered for either a traditional IRA or a Roth IRA. For example, if you invest in a stock that doubles in price so you sell it, you would normally have to report that gain on your taxes. If that gain occurs within your IRA, it's tax-free, at least until you take distributions. Like gains in either a traditional IRA or Roth IRA, you don't report your losses from year to year on your taxes. The only way that you could qualify to claim an IRA loss on your taxes is if you close all IRAs of the same type -- for example, all your Roth IRAs -- and your distributions over the life of the account are less than the nondeductible contributions made to the account. If that occurs, you can claim a miscellaneous deduction subject to the 2 percent of adjusted gross income limit on Schedule A; the loss is disallowed if you are subject to the alternative minimum tax. The rules for claiming a loss apply to both traditional IRAs and Roth IRAs. Distributions from any type of IRA always show up on your taxes, even if they are tax-free. If you've made nondeductible contributions to your traditional IRA, you have to use Form 8606 to figure the taxable and nontaxable portion. Otherwise, the entire amount is taxable. In addition, if you take a taxable non-qualified withdrawal, you'll have to figure the 10 percent additional tax with Form 5329. For traditional IRAs, a non-qualified withdrawal means any distribution taken before you turn 59-1/2-years-old. For a Roth IRA, qualified withdrawals occur when at least five years have passed since the start of the first year you made a contribution and either you're 59 1/2, permanently disabled or taking out up to $10,000 to buy your first home. If your distribution is qualified, simply report the full amount as a nontaxable distribution. If not, use Form 8606 to figure the taxable and nontaxable portions. If any of your early withdrawal is taxable, you'll also have to figure the penalty with Form 5329.